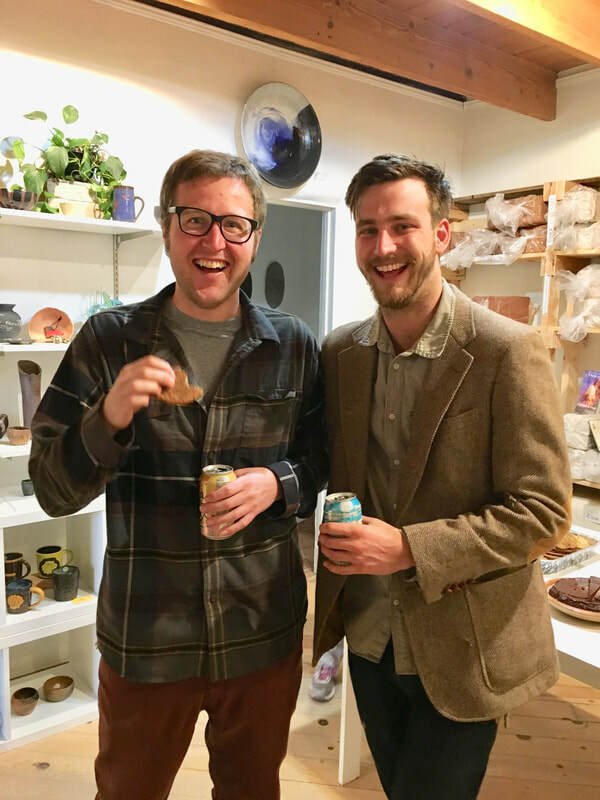 I recently taught a workshop on scaling up pottery with a coil and pinch technique. 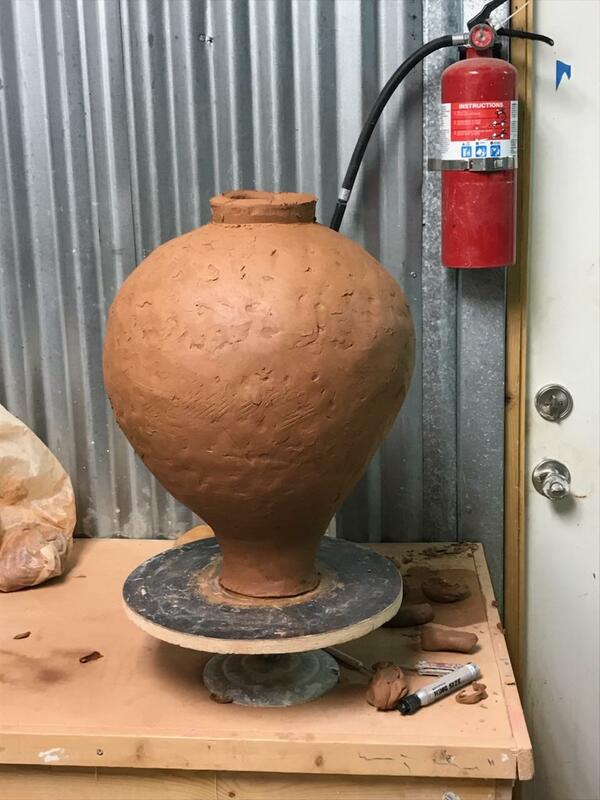 I built some big pots to demonstrate. I have also started experimenting with slip printing techniques and am hoping to create some unique objects. Also, the changing leaves are magnificent and make me so thankful to be here. 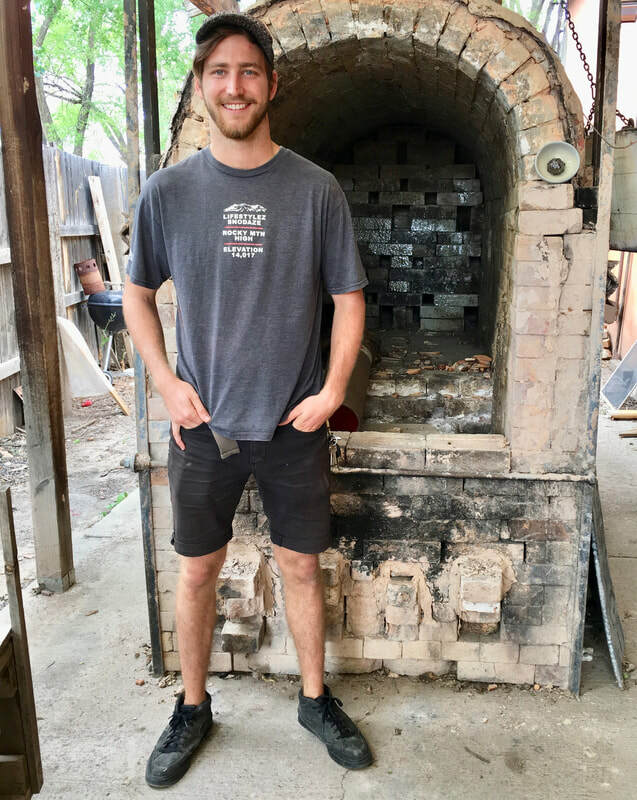 We unloaded the wood kiln recently and we had some really nice work. 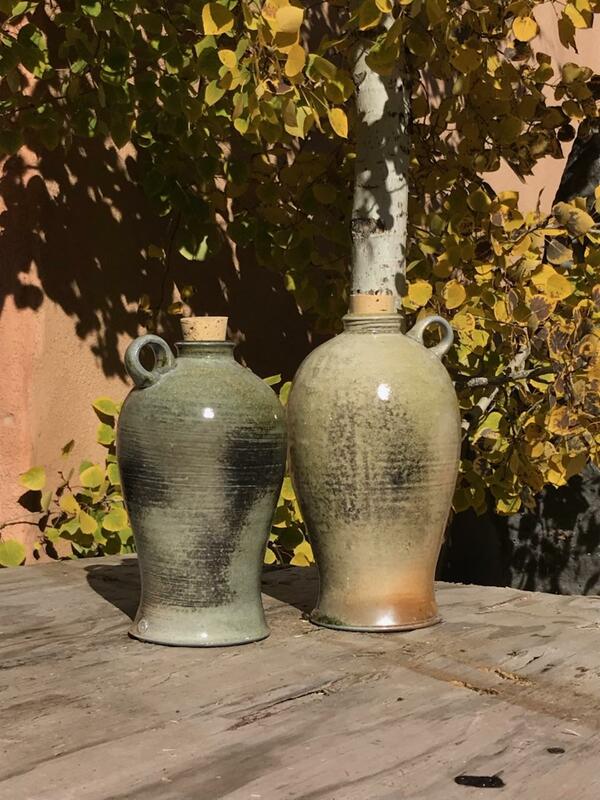 This was my first woodfiring here at Taos Clay, so, there is much to be learned about the kiln just by looking at the pots. I've been really enjoying teaching and I am constantly trying to improve. 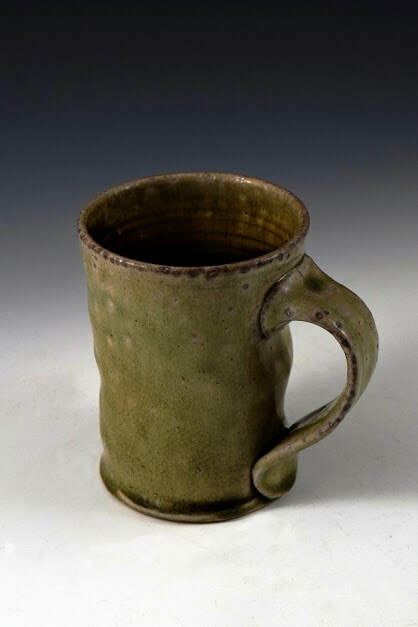 I am continuing to work towards the resident wood firing. 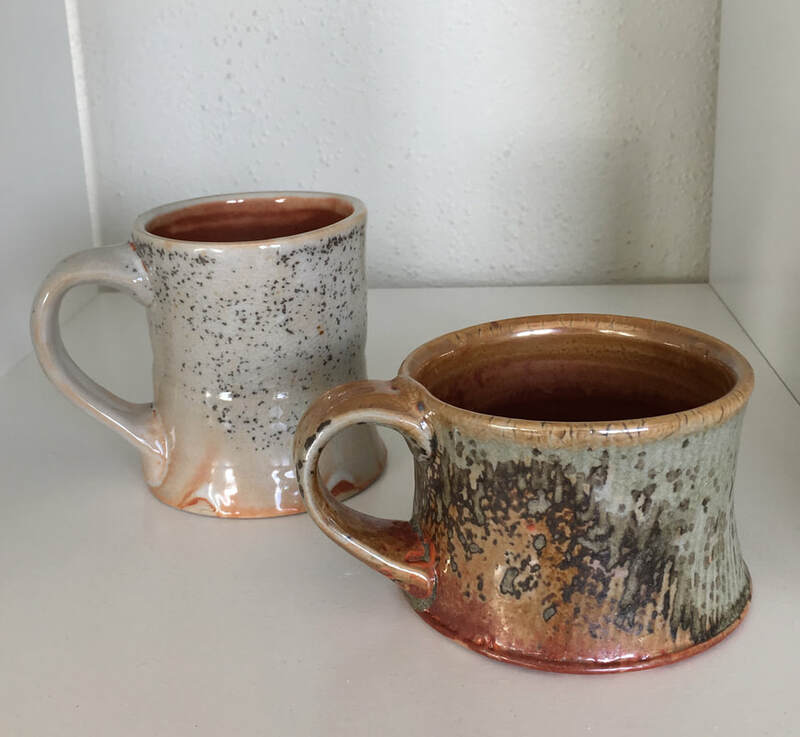 I am using a variety of Shino and natural ash glazes. 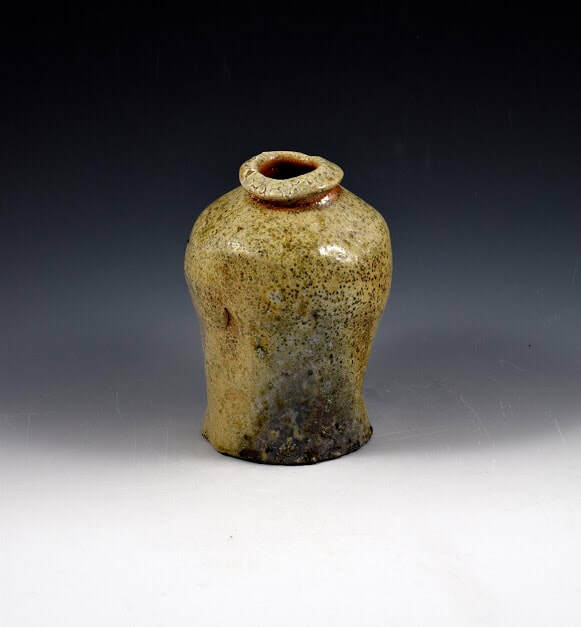 Included in the firing will be many functional vessels as well as some larger “moon Jars”.